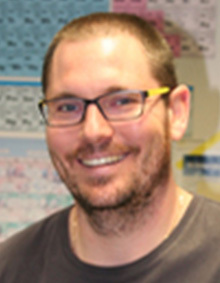 Chris Carrie received his bachelor’s degree from the University of Western Australia in 2005. He then went on to obtain his PhD in 2011 working at the ARC Centre of Excellence in Plant Biology located at the University of Western Australia. In 2012 he moved to the Ludwig-Maximilians-Universität Munich (Germany) after being awarded a prestigious Alexander von Humboldt Fellowship. Chris is now a postdoc in the group of Prof. Jürgen Soll in Munich and is studying how plant mitochondria import and assemble their proteins. Stephen Tyerman has researched nutrition, salinity, and water relations in plants. He has received several awards for his plant physiology research and was elected as a fellow of the Australian Academy of Science in 2003. He is currently head of the Department of Plant Science at the University of Adelaide and a chief investigator in the Australian Research Council Centre of Excellence in Plant Energy Biology, running a node of the Centre at the University of Adelaide. Steve earned his BSc (Hons) and his PhD from the University of Sydney. 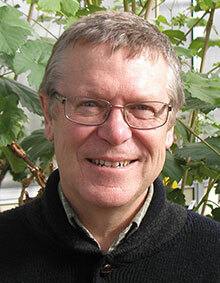 He is an associate editor for Plant Cell and Environment and Functional Plant Biology. He has also served as associate editor for Plant Physiology. Ruth Welti, university distinguished professor of biology, Kansas State University, studies the chemistry and biochemistry of lipids. She is director and cofounder of the Kansas Lipidomics Research Center, which is used by scientists around the world as a resource for lipid analysis by mass spectrometry. She has been influential in introducing mass spectrometry as a tool for analysis of lipids, particularly to plant biologists. Ruth’s research has appeared in more than 100 publications. Her current work is aimed at determining the role of lipid compositional alterations in the response of plants to environmental stresses such as temperature changes and exposure to pathogens. Ruth received the Kansas Technology Enterprise Corporation Scholar award in 2006 and the Outstanding Senior Scientist Award from the Kansas State University chapter of Sigma Xi in 2008. She has served on five journal editorial boards, including the board of the Journal of Biological Chemistry. 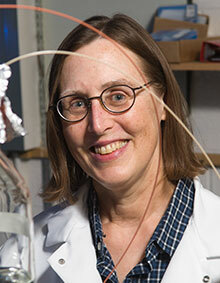 In 2012, she was named a fellow of the American Association for the Advancement of Science. She received a doctorate in biological chemistry from Washington University in St. Louis and graduated with honors with a bachelor’s degree in chemistry from the University of Connecticut. Before joining Kansas State University in 1985, she was a postdoctoral fellow and research assistant professor of biochemistry at the University of Kansas Medical Center. 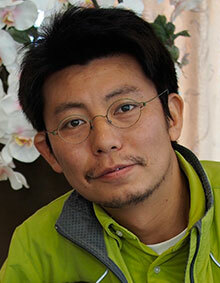 Naoki Yamaji is currently associate professor at the Institute of Plant Science and Resources, Okayama University, Japan. He holds a PhD in Plant Molecular Biology from Kagawa University, Japan. Naoki’s research focuses on two topics: plant tolerance to ion aluminum toxicity in acidic soils, and silicon transport from roots to leaves. Regarding aluminum toxicity, Yamaji and his collaborators identified a key transcription factor, ART1, which governs the expression of aluminum response genes in rice. Among the downstream tolerance mechanisms impacted by ART1 expression is the unique bacterial-type ABC transporter complex, STAR1-STAR2, which contributes significantly to aluminum tolerance. Yamaji’s recent work on mineral uptake and distribution has highlighted the importance of intervascular transport in shoot nodes. In particular, he identified Lsi6, a silicic acid channel in rice, as the first example of a transporter involved in intervascular transfer of nutrients in nodes. In addition to his work on silicic acid transport, Yamaji and his collaborators have, to date, also identified transporters involved in the preferential distribution of Zn, Cd, Mn and Cu.